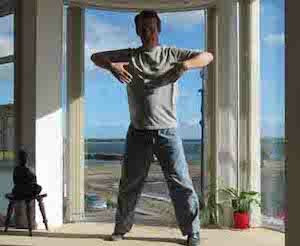 Taiji Qigong or Shibashi is one of the most popular and simplest to learn qigong systems. Consisting of 2 sets of 18 Movements, usually referred to as Taiji Qigong 1st 18 and Taiji Qigong 2nd 18 they are a series of individual movements that are accessible to all ages and physical abilities which can be easily adapted to those with special needs. These exercises have become increasingly practiced across Europe in recent years and have been enjoyed by students from many backgrounds and environments including schools, colleges, hospitals, care homes and prisons. By doing these movements in conjunction with soft, even breathing and a sense of mindfulness or intent you can also enjoy the many benefits including increased relaxation, reduced tension, better body awareness and a calm, focused mind. On our free download section you will find a pdf-file with the whole set of the qigong exercise Taiji Qigong 18 Movements.